Thank you for the tutorial. It was easy to follow and I’m very pleased with the results. I FINISHED mine… It did not work great with the sleeves so I made my own …. I had to enlarge the pattern a little… You can find it onn my blog with a link to this post! 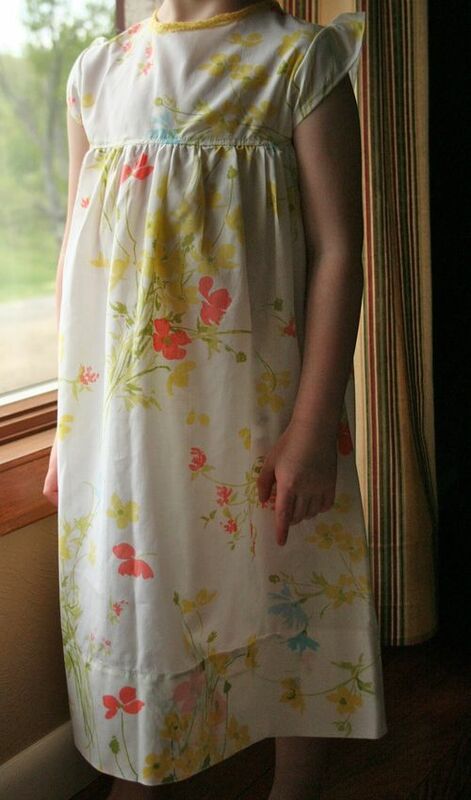 I want to make one for my daughter, I didn’t see the dimensions for the skirt part of the nightgown on your instructions and patterns. Please let me know what these would be Thanks! I love it! 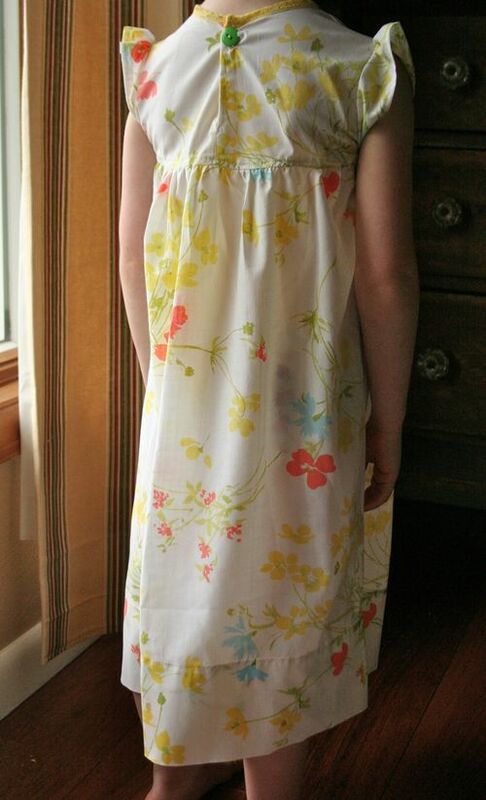 I googled ‘nightie pattern’ and you popped up. I’ve got quite a little stash of vintage pillowcases and a girl who prefers nighties to pjs, so I’m going to give this a go. Thanks for sharing. 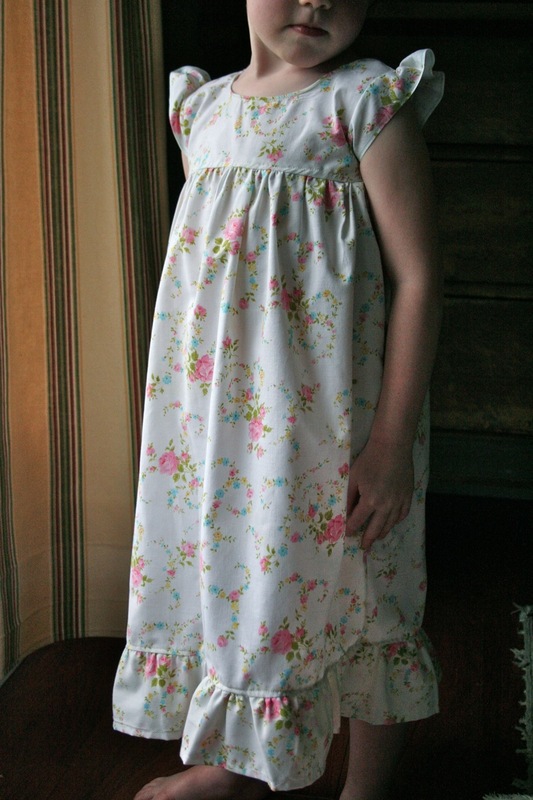 I used a vintage cotton linen pillowcase as my daughter can’t have polyester against her skin unfortunatley and used a cat button she chose and she really loves it…and your sizing template was spot of for my extra tall 3yo. So sweet! I am a bit bummed that I can’t seem to make the sleeves work but maybe tomorrow I will give it another whirl.